The Dallas Rugby Football Club was established in 1968, and is the premier USA Rugby Club in the Dallas-Fort Worth metropolitan area. Commemorating the Dallas Rugby Football Club’s celebration of its 50th Year and with the goal of taking the USA Championships in 3 Divisions, our own Vinny Chase has produced and directed this amazing and professional documentary about our very own club. “50 YEARS OF RED” is a captivating sports documentary exposing the last 50 years of our great Dallas Rugby Football Club. Interviews with past members and stars, on the pitch and off, highlighting some of the most memorable moments and maybe some best forgotten! This epic and personal biopic will leave you laughing and crying, but most of all, proud to be a Dallas Red! Please purchase your DVD or BlueRay here! The Dallas Rugby Club is currently enjoying our new practice location at Dallas Lutheran School, Stults Road, Dallas, TX, every Tuesday and Thursday, from 7:00 to 8:30 pm. Please show up early to suit up, practice starts promptly at 7:00. Please check our Calendar Page for any practice date or time adjustments due to weather or facility considerations. With our slam dunk victory at the NOVA 7s in Leesburg, VA, the Dallas Reds have, once again, earned a spot in the National 7s Championships for 2018. Under the helm of Chris and Lynn Howard, DRFC is poised to go even further and, if all indicators are correct, win the USA 7s National Title. The program under Chris and Lynn is so successful, that our TOLA side is sitting at first place in the season long competition. All this following our most successful season in the clubs history with a TOLA championship and a Bowl Championship in the National Championship tournament in 2017. We are looking for sponsors who would like to advertise at a National level at the Championships this year. Please see the bottom of our sponsor page to enroll. The 2017 7s season had a record number of sponsors, CIPP’D players and tournament victories, a credit to the effort of everyone involved in the club. The club put in strong showings in every TOLA tournament, highlighted by a win in the Cherrybone 7s and second place finish in the Norman. The D1 side qualified for the National Championship as the top ranked team from the Red River Conference with victories in 2 of the 4 qualifying tournaments. The depth of talent and attitude of the players to improve each week meant they wouldn’t be attending the USA wide National Championship tournament in Minneapolis just to make up the numbers. The squad drew the pool of death but were not out of place against eventual 3rd and 5th place finishers Washington Athletic and Old Blue NY respectively. Barely missing out on a spot in the Cup Championship, the Reds showed their class and went through day 2 undefeated to finish Bowl Champions and place 9th in the country! Special thanks to 7s Head Coach Chris Howard, and his wife, Dr. Lynn Howard, for all their hard work and support over the 7s season. The club went from not qualifying for the National Championship tournament for the past 2 seasons to top 10 in the country and we cant wait to see how far Chris can take them this year! Thanks to all the players, other coaches, admins, support personnel, Old Boys, donors, fans and sponsors . The Lady Reds are gearing up for another successful season. We are actively recruiting new and experienced players. All are welcome! You can fill out our online form for more information or contact our leaders, Calli Davis (callierin21@yahoo.com) and Lori Mayfield (mayfield3@prodigy.net) to get up to speed. The Dallas Reds 15s season ended disappointingly, narrowly missing out on the playoffs in all three divisions. The D1 side finished third in the Red River Conference, and the D2 and D3 sides finishes second, missing out of a round of 32 spot to northern Texas teams. Despite this, Reds were still able to add a trophy to the cabinet in 2017. The Reds D1 side were crowned Gold Cup Champions having only lost 1 game in the USA Rugby sanctioned, premiership-level tournament featuring the top men’s clubs from the Midwest and Red River Competitive Regions. The Reds secured the win in Minneapolis on April 2nd with a 22-21 win over the Chicago Griffins finishing the tournament with 4 wins, 1 draw and 1 loss. In 2017 the Dallas Reds launched the Dallas Youth Rugby Football Club ( “DYRC”)(https://www.facebook.com/dallasyouthrugbyclub/). The program is for at-risk youth in South Dallas and was run in conjunction with the City of Dallas Parks & Recreation Department, St. Philip’s School & Community Center, and other Dallas-area rugby clubs. Modeled after the Memphis Inner-City Rugby Club (https://www.facebook.com/MemphisInnerCityRugby/), and with the assistance of that club’s founders, DYRC focused on teaching at-risk youth in South Dallas to play rugby. The program was focused on 7s for this season and a progression to 15s in the future. This is an initiative the Reds want to continue into the future to help develop grassroots Rugby in Dallas and mold future Reds superstars! In order to do that, we need help from the Rugby community. The Reds are interested in anyone willing to volunteer their time for the 2018 season or make donations for equipment and registration fees for the kids. We could also use any old training equipment (tackle bags, balls, hit shields, cones, water bottles, etc.) that you may have lying around in your garage. Spread the Word: If you know anyone not affiliated with DRFC who you think might be interested in getting involved or having their kids learn the game of Rugby, let them know about DYRC! Please help DYRC grow the sport of rugby in Dallas! Swinglift USA has provided storage container sales and storage container rentals in Dallas and the greater Fort Worth area since 2000. 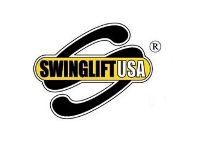 Along with serving top notch storage container service in Dallas, Swinglift USA also serve the outlining cities of Arlington, Irving, Plano, Denton, McKinney, and Fort Worth.